Our tentative opening day is Wednesday May 8- weather permitting (it must be at least 50 degrees at night for us to open because we have no heat in our trailer). We will make our official opening day announcement on Monday April 29. HUBBAS will be selling BBQ at the Westford Farmers Market this summer! Tuesdays in July and August from 2:3-6:30 pm. Stop by and grab some BBQ for dinner! 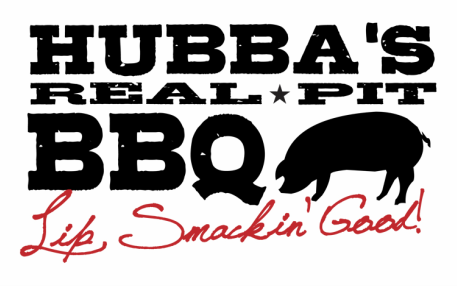 HUBBAS was voted #1 BBQ Restaurant in Westford for 2018! All meat is cooked fresh daily. We do not own a microwave or freezer. YES! WE DO CATERING! See our catering page for more details. We accept credit and debit cards as well as cash. ​Hubba's will be open through the end of September (weather permitting). ​Please note- it is often difficult for us to answer the phone during lunch service, so please leave a message if you call and we don't answer! ​Sorry, we cannot take phone orders. GLUTEN: I cannot guarantee that my spices are gluten-free, because the manufacturers will not put in writing that their products are gluten-free. Spice manufacturers sometimes use fillers in their products, so this is a legitimate concern. Therefore, the only menu item I can guarantee is gluten-free is my pulled chicken, because I use no spices on it, just the flavor of the wood smoke.